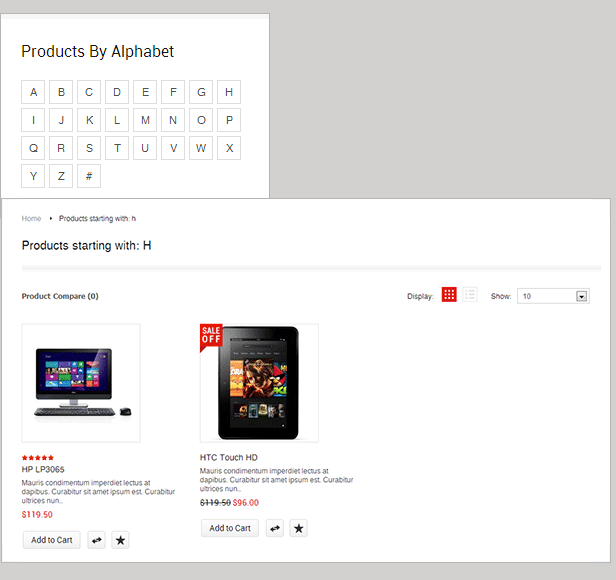 As you are here, you are definitely looking for a new layout for your online store of digital equipment. And, the brand new design, Responsive OpenCart Template â€“Bossthemes Digiworld, will be your best choice.Â Letâ€™s experience the demo, you will be impressed by a neat, clean and smartly organized layout comes along with the most powerful features in Bossthemes Responsive Digiworld. 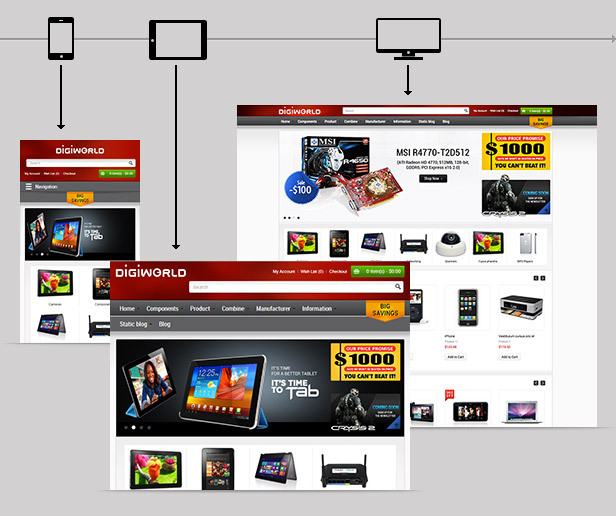 Your online store will be beautifully in all customerâ€™s devices because DigiWorld is responsive. Moreover, the theme is featured with the new slideshow which is unlimited in caption layers, number of slide and dimension. 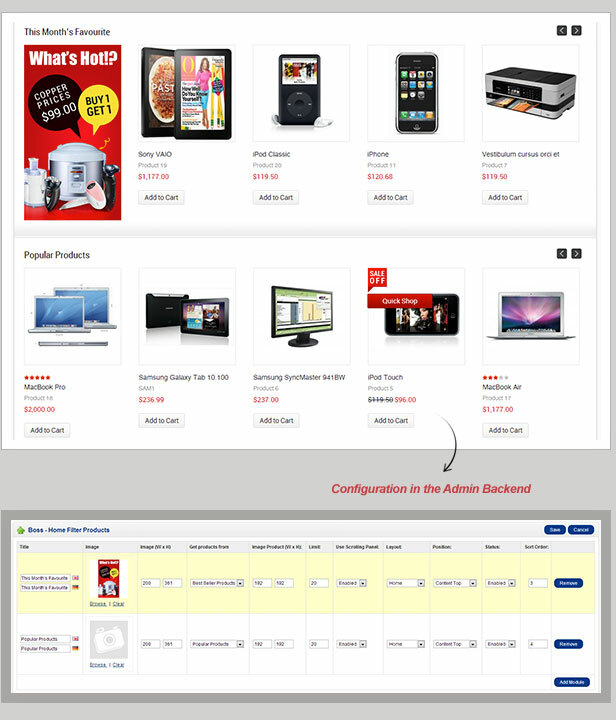 Together with Boss Zoom andQuickshop, Bossthemes Digiworld makes sure your visitors have a good time shopping and likely to come back often.Â Importantly, you will no longer struggling with Product Category while the new Mega Menu module is supported which means you can custom menu with many types of dropdown options. 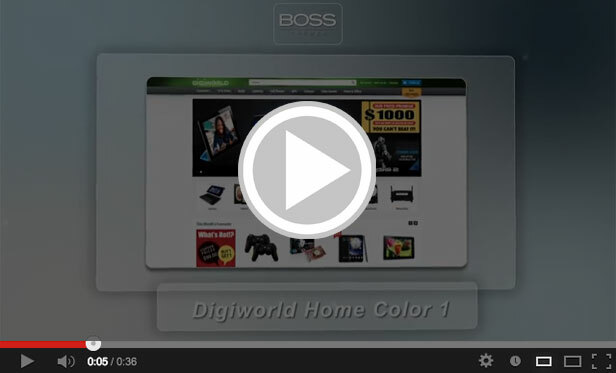 There are still many many awesome features and functions of Bossthemes Digiworldwhich you will want to get for your eCommerce business. Check it yourself!!! 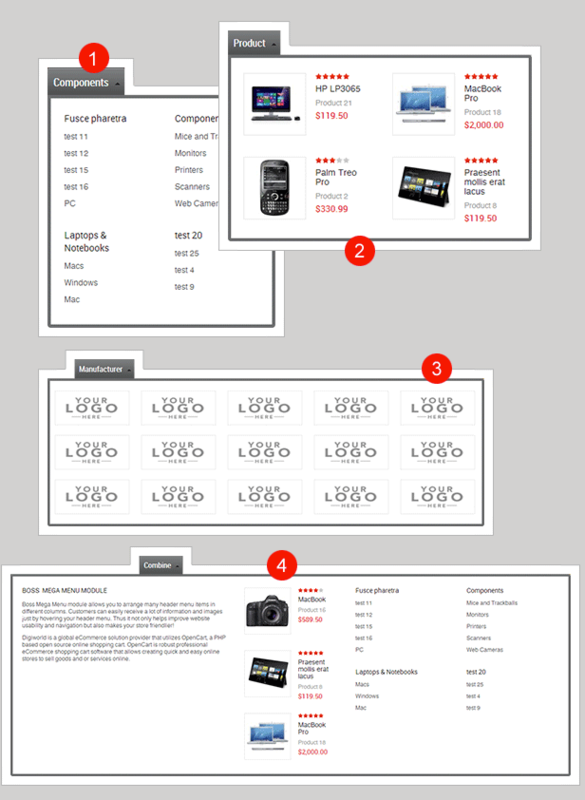 As you are here, you are definitely looking for a new layout for your online store of digital equipment. 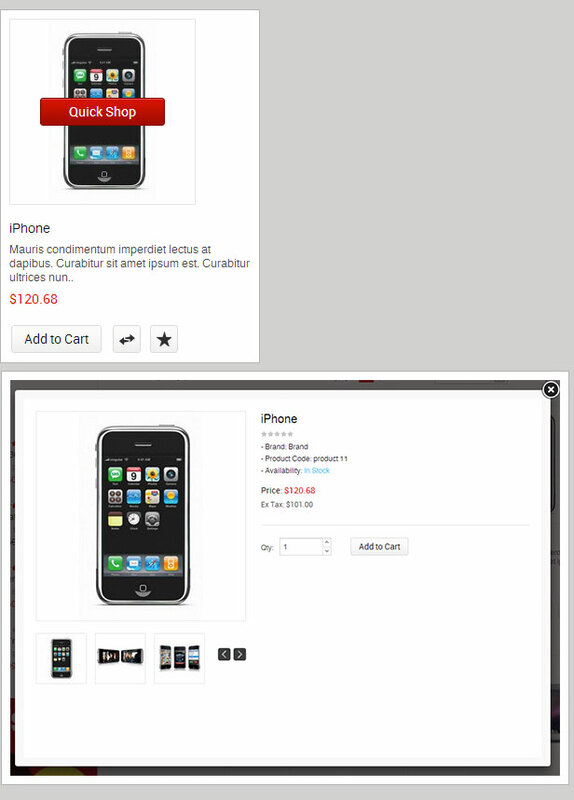 And, the brand new design, Responsive OpenCart Template â€“Bossthemes Digiworld, will be your best choice. Why? Letâ€™s experience the demo, you will be impressed by a neat, clean and smartly organized layout comes along with the most powerful features in Bossthemes Responsive Digiworld. 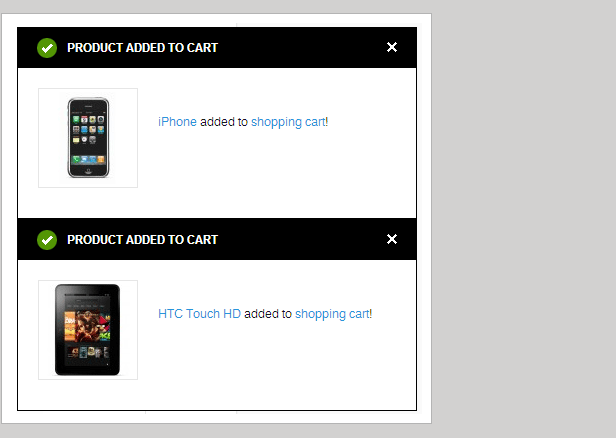 Your online store will be beautifully in all customerâ€™s devices because DigiWorld is responsive. 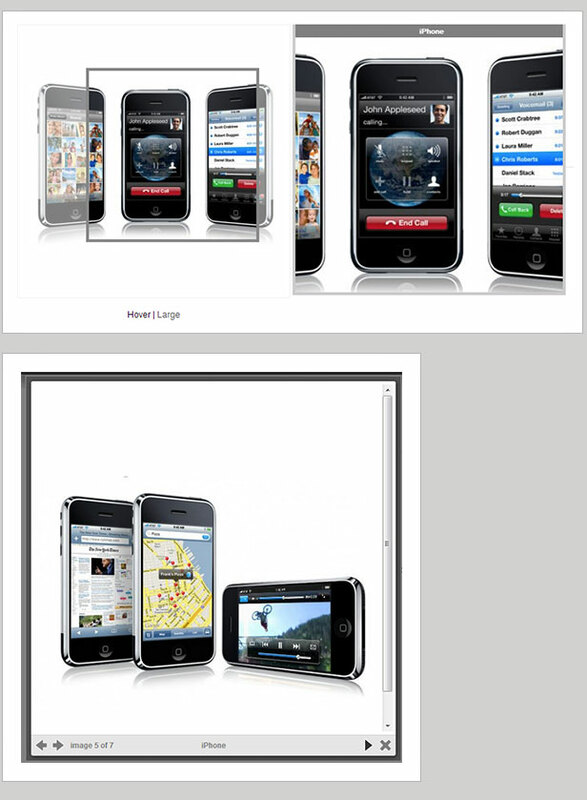 Moreover, the theme is featured with the new slideshow which is unlimited in caption layers, number of slide and dimension. 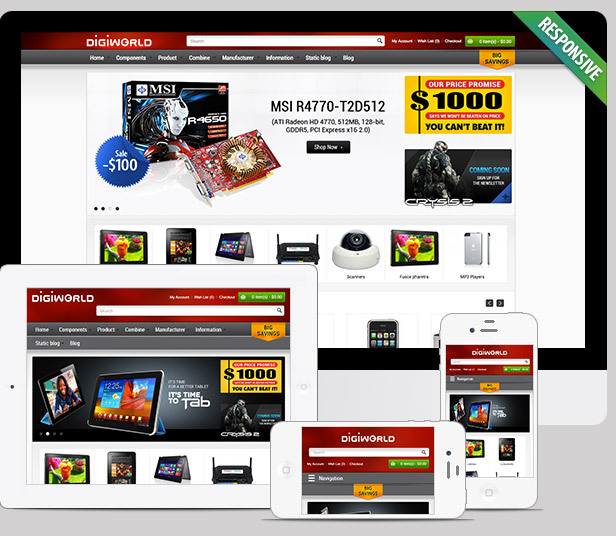 Together with Boss Zoom andQuickshop, Bossthemes Digiworld makes sure your visitors have a good time shopping and likely to come back often. 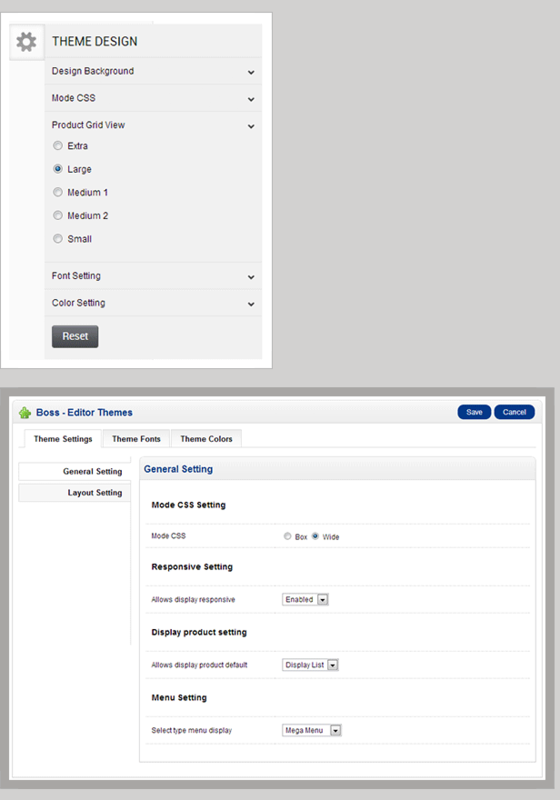 Importantly, you will no longer struggling with Product Category while the new Mega Menu module is supported which means you can custom menu with many types of dropdown options. 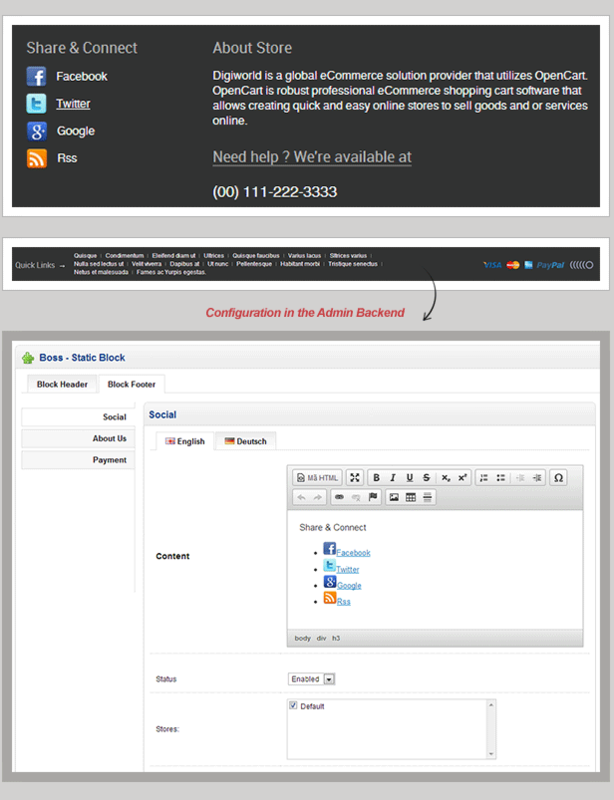 Detailed installation & user guide documentation. View online version here. Design is optimized for all the most popular screen resolutions. 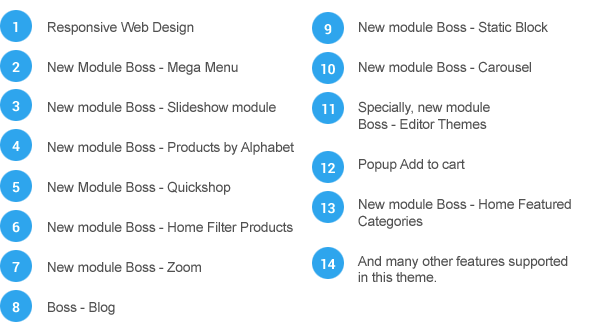 When screen is resized, design elements are transformed smoothly on each breakpoint (from 240 to 1680 pixels) in order to adapt to the current resolution. 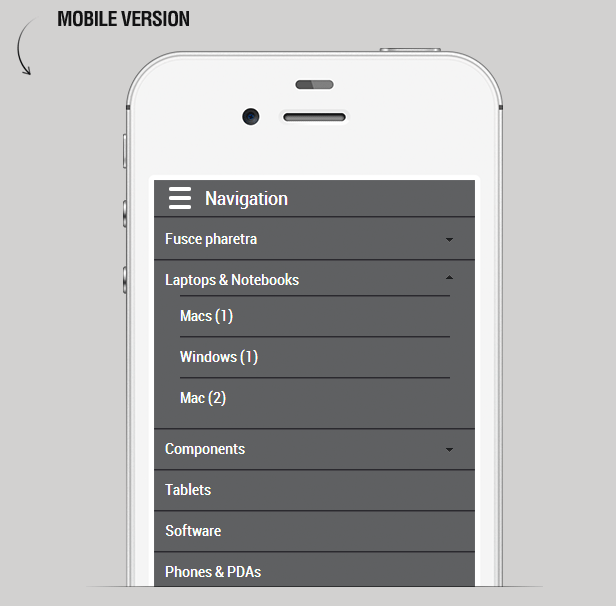 Width of the page is fluid, but you can also disable fluid width: in that case the width will only be changed on breakpoints.